Happiness is a product of EQ. Most people and leaders in organizations find it difficult to directly train, develop and create an environment of happiness. A workplace where people want to work and stay. Leading people and teams in the 21st century is being able to effectively lead multiple generations, build a diverse team, understand others and build relationships. Strengthening communication skills is one of the most important improvements a person can make for their success in their work and personal life. Developing effective communication skills is a process and it will increase your happiness personally and professionally. Communication challenges are one of the top reasons coaches are engaged. Strengthening this skill is a game changer. What are signs of communication challenges in an organization? People are not working together as a team. There is conflict and people are disengaged. Other symptoms are blame, increasing mistakes, messaging is unclear and people are unaware of roles and changes. The inability to be an effective communicator effects everyone’s happiness and wellbeing. How can communication improve when there are these warning signs? Listen carefully. You must learn what caused the communication problem in the first place. EQ in self-awareness, how to manage our response and understanding other styles is critical. Learn how to communicate and motivate each individual on your team. After uncovering the cause and challenges, help your team understand their strengths and solutions in moving forward. It is important to communicate the things that are going well. It is up to you to improve and strengthen your communication skills. 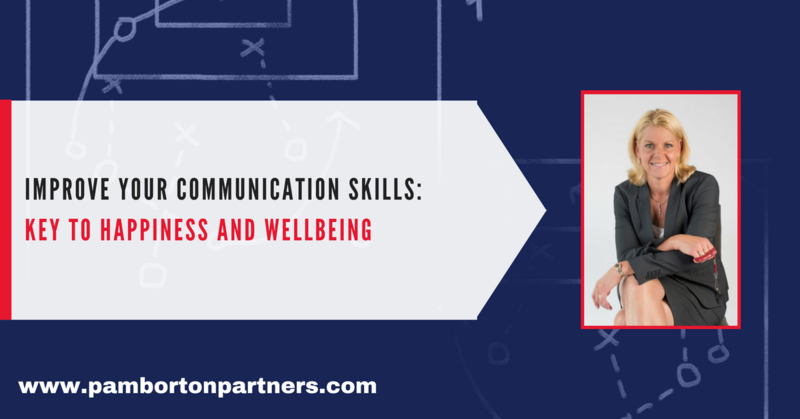 Being an effective communicator is the key to happiness and overall wellbeing for you, your team and organization.